Here on OSV we focus primarily on the music of videogames. However, we do occasionally review music software, as these programs are a vital aspect of music writing and creation. While there are some game composers that are lucky enough to work with live musicians and orchestras, many still rely on sound libraries and samples to produce our favorite game music. 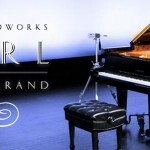 Today, we are looking at the Impact Soundworks library Celestia: Heavenly Sound Design. The library was created by Andrew Aversa, Jordan Aguirre, and others at Impact Soundworks. Many videogame music remix fans may be more familiar with Aversa and Aguirre by their artist names, Zircon and bLiNd respectively. This latest library is advertised as a collection of atmospheric and ambient hybrid synth sounds. The focus is more on the softer and ethereal synthesizer instruments, rather than heavy hitting and dramatic instruments. With all that said, let’s take a look at this latest product. The first hurdle to deal with when acquiring a new program is the instillation process. Celestia is a digital download only and requires 6 gigs of disk space. In addition, you also need to own a copy of Kontakt 5.3. Sorry Kontakt Player users, you’re going to need the full version of Kontakt for this instrument library. Downloading the software is a relatively painless process. Once you create an account and purchase the software, a download link is sent to your email. Because the library is so large, it’s broken up into smaller pieces for an easier download. After downloading, you only need to extract the files from their RAR format. So far, so good. Once the files are installed, it’s a simple matter of looking up the Celestia library folder through the Kontakt browser. Because Celestia doesn’t use the Konkatk Player format, you can’t add Celestia to the Kontakt libraries tab. While this does mean you have a few extra steps to select the instruments and samples you want to use in Kontakt, there are some advantages to this. Because you are not required to register the library in Kontakt, you can have the Celestia: Heavenly Sound Design library on as many devices as you need. Unlike many Kontakt libraries, which limit you to registering the software to only two computers, Celestia lets you install the library wherever you need it. In my opinion, not having the library tab is a decent trade off. The lack of this restriction can be a godsend, especially when dealing with a computer or hard drive crash. You don’t have to worry about un-registering or re-registering devices and it’s easier to have backups stored on other devices. At the end of the day, it’s a benefit and less of a hassle for the customer. Okay, enough about the files and installation. Let’s look at the actual program. 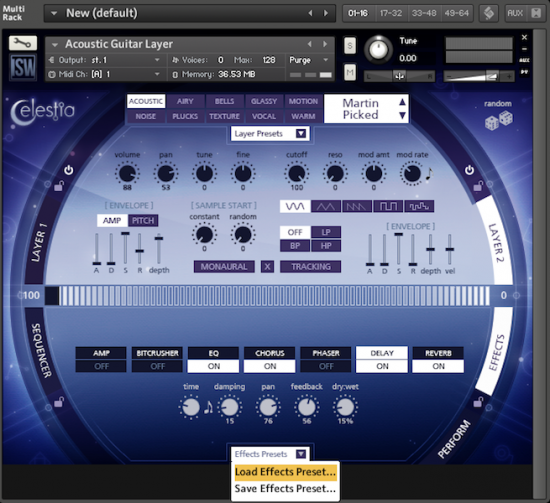 Celestia has over 500 preset instrument set ups that you can select or drag from the Kontakt browser. The program contains 200+ sound sources, with each preset simply being those sound sources with specific settings, filters, and effects. In many cases the presets make use of the dual layer system, allowing two sound sources to be combined to make more unique sounds. 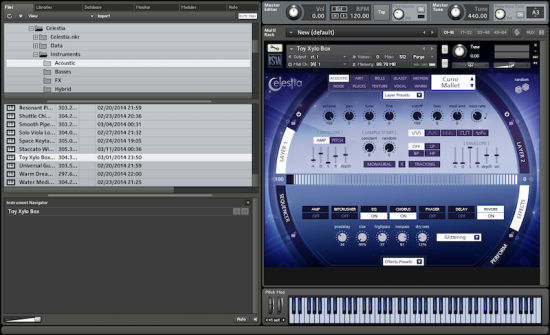 This dual layer system is one of the key features to the Celestia: Heavenly Sound Design instrument. The presets are organized within the Celestia folder under categories like acoustic, basses, pads, leads, and textures. 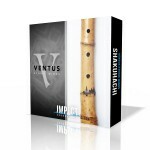 This makes it relatively easy to find and load the specific styles of instruments and effects that you are looking for. There’s a decent amount of variety for each category, giving you plenty of starting points for creating your own sounds. There’s a great collection of instruments in these factory presets. While most of the presets are indeed hybrid acoustic synth sounds, there are other styles of sounds available. Many of the acoustic instruments like guitars and pianos have minor or subtle synth elements blended in with them and those can be reduced at the user’s discretion. Many of the FX and Texture presets can just as easily be used for sound effects as they can for music. There are also a handful of bass instrument presets that have an edgier, intense sound to them. By and large, most of the instrument presets have an ethereal and ambient quality to them. These of course can be changed to more dramatic and aggressive sounds by manipulating ADSR and other settings in the layer attributes. Celestia’s user interface (UI) contains an editor interface for the two layers of instrument sources. Each source sound can be switched out within the layer. The sound sources themselves have categories, making navigation simple. In addition to selecting the sound sources for each layer, the controls like panning, resolution, and cutoff can be controlled independently for that layer. Each layer has it’s own amplitude and pitch controls, sample controls, and modulation controls. Simply clicking on Layer 1 or Layer 2 will show you the individual attributes for that layer. This makes it fairly easy to tweak the individual elements of each sound source to your heart’s content. The layers can also be turned off completely, allowing you to focus on the sound of one layer or simply create a new instrument using that one sound source. One of the more interesting features of the layer editor is the crossfading slider, located in the middle of the Celestia UI. This allows you to control the way that the two layers are blended, assuming that you are making use of both layers. Depending on what sound sources you have in each layer, this can either create subtle or dramatic effects to the sound of the instrument. 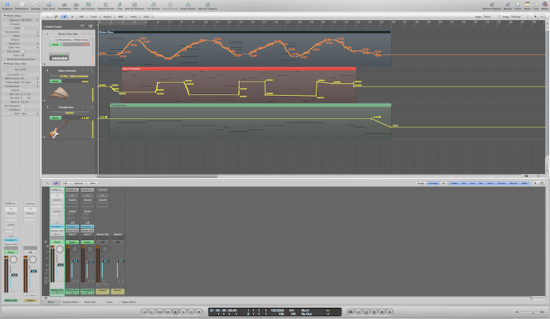 It’s a feature I found myself using quite often, and it was a very simple way to tweak and transform the sound. The lower half of the Celestia UI consists of an effects section, perform section, and sequencer section, which will affect both active sound layers. The effects include a modeled guitar amp, bitcrusher, EQ, chorus, phaser, delay, and reverb. 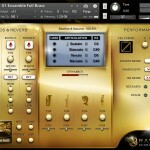 The performance settings allow you to change octave, pitch bend range, and the instrument tuning for both layers. The sequencer section is relatively simple, containing a step sequencer to control the instrument volume or pitch. There’s also a gater mode that can be used for rhythm effects. The UI overall has a very clean appearance and is easy to navigate. All of the controls are easy to find and adjust. It’s easy to see from a glance what effects and elements are turned on, and the drop down menus have a clean look that matches the rest of the interface. The only thing that took me a few minutes to realize, was that the “x” button above the crossfade slider was the crossfader’s power button. A quick look at the manual managed to set me straight though. One of the other convenient tools for quickly creating new sounds is the ability to load presets for the different effects and attributes within the UI. For example if you liked one of the effects presets on a particular instrument, but would like to try it on a different instrument, you can load it from the effects presets tab. In addition, you can save your own custom settings as a preset to use later. The ability to load and save presets can be done for individual layers, the effects section, the sequence section, and the performance session. This gives you an easy way to implement your favorite settings into any project that you happen to be working on. For my test run of Celestia, I booted up my Digital Audio Workstation (DAW) of choice, Logic Pro 9, and messed around with creating a piece out of the instruments available through Celestia. In a very short period of time, I was able to pick out a few slow synth pads, an electronic base sound, and a mellow synth lead to construct a simple piece. The ability to automate different effects from Logic 9 also allowed for more variety and control of the instruments. The controls in Celestia can also be learned to an external midi controller, which was helpful for writing certain instances of automation. Impact Soundworks does recommend having at least 8 gigs of RAM for running Celestia, but I ran into no issues while running it with my humble 4 gigs of RAM. Even when running multiple Celestia tracks in Logic 9, my computer handled it all without any noticeable issues. 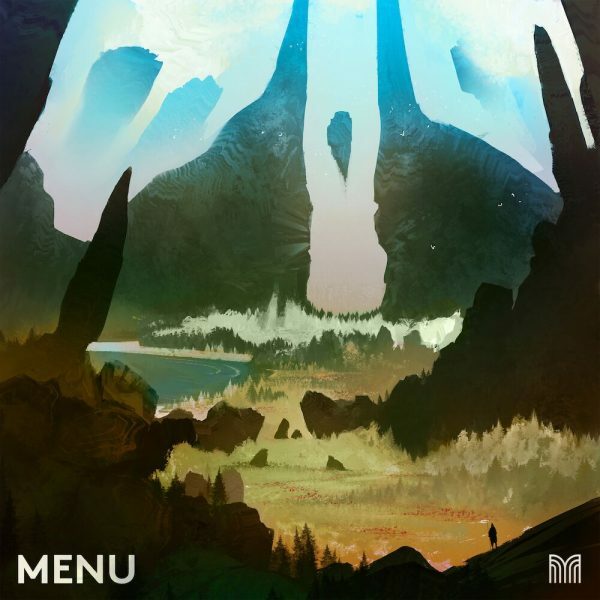 My final verdict on Celestia: Heavenly Sound Design is a positive one. The interface is well designed and easy to use, making it great for both professionals and beginners; the collection of over 500 instrument presets makes finding and setting up sounds very easy; and the library works great, both as a stand alone interface and as an instrument within a DAW. The process of downloading and installing the software is user friendly, and the fact that you don’t need to register the software helps create less of a headache for the customer. The ability to quickly alter different sound sources to create your own unique blends of instruments is incredibly easy, while the crossfade slider allows for added variety in the sound creation. I’d highly recommend this software instrument for anyone looking for a good hybrid acoustic/synth instrument for their music writing. At only $139, it’s a great bargain when compared to similarly priced software. Celestia: Heavenly Sound Design can be purchased at the Impact Soundworks website.